This film of Sallu Mia has broke many records and thus made new ones. Furthermore, it’s doing a good business being in its second week of business. Directed by Sooraj Bajratya, PRDP has been produced by Rajshri Productions and distributed by Fox Star Studio. Also, it stars Neil Nitin Mukesh, Anupam Kher, Sonam Kapoor and others in important roles. A very popular trade analyst of Bollywood, Taran Adarsh confirmed that is has collected more than Rs. 200 crore at the Indian box office. It’s only about Hindi version of the film. However, it has minted way more than if considering the worldwide collections of PRDP which includes revenue from the international markets, Tamil and Telugu versions too along with Hindi version. 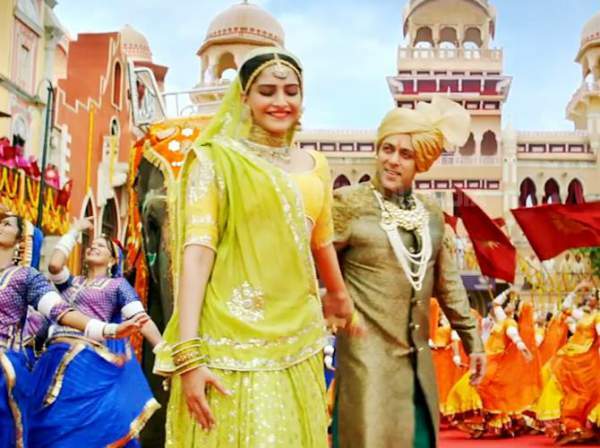 PRDP opened to a massive occupancy and thus earned a whooping amount of Rs. 40 crores on Thursday (opening). Trade experts and makers of the flick are expecting that PRDP 13th day would up about Rs. 5 crore (early estimates). Moreover, it has no competitor at least till Friday. Deepika Padukone and Ranbir Kapoor starer Tamasha is going to release this week. Taran Adarsh tweeted that Salman is the only actor in Bollywood to set the milestone of Rs. 500 cr films as the box office collection. By the end of the 2nd weekend, PRDP has earned more than Rs. 193.22 crores (Hindi version only). Meanwhile, it has surpassed the lifetime collections of his previous movies like Dabangg 2 and Ek Tha Tiger. Including today’s income, PRDP has minted over Rs. 300 crores worldwide. The total boxoffice income stands at a figure of Rs. 318 crores. Speaking of the second weekend, then PRDP has grossed over $438,662 from 283 screens in the USA, $163,382 from 24 screens in Canada, £2,16,899 from 103 screens in the UK, A$1,18,146 from 30 screens in Australia, NZ$99,180 from 27 screens in New Zealand, MYR29,788 from 16 screens in Malaysia and €3,650 from 21 in Germany. PRDP 2nd Tuesday box office report will be updated soon. Stay tuned to us to stay updated with the latest PRDP collections news and updates. Let’s see how it goes on the 13th day. Next articleKumkum Bhagya Nov 24 Episode : Will Pragya expose Nikhil in front of Abhi?